Newtongrange Star put the disappointment of suffering their first league defeat last week to thump eight past neighbours Arniston Rangers in manager Stevie McLeish’s 100th game in charge. Despite the testing conditions, Star played some terrific football which the home side could not cope with, and they opened the scoring after 26 minutes when a corner from the right was headed in at the near post by Young with Newman floundering. Star increased their lead after 28 minutes when a dinked cross by Forster was headed home by Hunter. They got their third a minute into first-half stoppage time when the ball broke to Porteous on the edge of the box. His effort took a couple of deflections on its way past Newman. They visiting support did not have to wait long in the second half for the fourth, when carelessness in midfield saw Hunter played through again this time he made no mistake as he smashed it past Newman. Arniston came close after 49 minutes when a towering header in the box from Jones crashed back off the bar. Star made it five after 52 minutes when a ball through the middle sent Forster scampering clear. Just when it looked like he would be closed down he stuck out a foot to expertly lob it over the advancing Newman. Star increased their lead after 71 minutes when a slick passing move released Scott down the right, his cross found Lander unmarked in the box to bullet home a header for his first goal since returning from extended leave. It got worse for the home side after 73 minutes when Newman spilled a Thomson shot then promptly fouled Lander as he was following up which earned him a yellow card. Thomson made no mistake from the spot to make it 7-1. Star were not finished yet and when Samson crudely tripped Forster, Thomson stepped up to curl a beauty over the wall and past the despairing Newman. The home side got a consolation goal when Butler stabbed the ball home from a corner much to Renton’s annoyance. 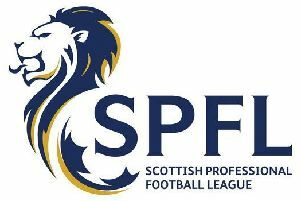 Star: Renton, Swanney (Melvin 58), Currie, Young, Mitchell, Porteous, Forster, Richardson (Bracks 58), Thomson, Lander, Hunter (Scott 58). Arniston: Newman, R. Flemming, Norris, McDiarmid, Raymond Flemming, A.Flemming, Watsson, McNally, Mooney, Jones, Butler. Subs: Robertson, McKenzie, Samson, Dyett, Power.